Teledyne Paradise Datacom (“Paradise), a business unit of the Teledyne Defense Electronics (TDE) Group, is furthering their reach in the world now heading to Brazil underscoring Teledyne Paradise Datacom’s commitment to growing its customer base in Brazil and providing the on-the-ground support necessary to continue expanding its footprint in that country. Here they will launch an in-country business operations that serve as a single point of contact (POC) for customers in that country. 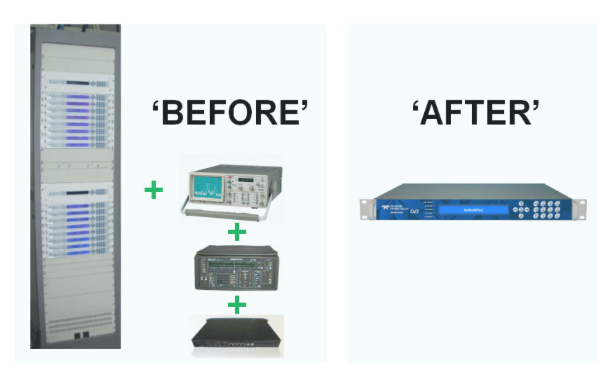 And the savings continue to accumulate when you consider the need for fewer spares, less training, fewer interconnect cables, less air conditioned rack space, lower power consumption, etc. Paradise is locating its local sales, logistics, and technical support operations and staff at the Brazilian offices of its sister Teledyne company further leveraging the long-time Brazilian presence of Teledyne Marine. In addition to establishing localized Paradise operations, the partnership will allow Teledyne Marine and Teledyne Paradise Datacom to work together to offer Brazilian companies complimentary products and services in markets like Oil and Gas, Telecommunications, Broadcasting, and more. Paul Sandoval, Business Development Director for Paradise Latin America stated that in recent years they have discovered an emerging and important growth opportunity in Brazil for their satcom product lines, in particular their state-of-art modems and solid state power amplifiers. But in order to truly capitalize on that opportunity and demonstrate their long-term commitment to the Brazilian market, they recognized that they need to develop a robust on-the-ground presence. This is the first step in bringing that growth strategy to fruition. Teledyne Marine has a well-established presence in Brazil with both direct employees and supporting Brazilian partners serving the local market. It is a world leader providing highly engineered, high performance marine solutions in five core segments including Imaging, Instruments, Interconnect, Seismic and Vehicles. Teledyne Paradise Datacom is integrating its own staff and related partners in Brazil with Teledyne Marine’s operations to create a Teledyne “one-stop shop” for its Brazilian customer base. Interested customers can visit with Paradise staff this week at SET Expo 2018 in Sao Paulo, where we will be participating with Paradise partner AVS Telecom in Booth #115.